SYDNEY (AFP) – Australian Prime Minister Julia Gillard Saturday called an August 21 election, vowing to tackle the flashpoint issues of refugees, the economy and global warming, just weeks after taking power. "Today I seek a mandate from the Australian people to move Australia forward," Gillard said, officially kicking off the five-week campaign. "This election I believe presents Australians with a very clear choice -- whether we move Australia forward or go back." Australia's first woman prime minister said the nation had "come too far as a country and evolved too much as a society to risk the kind of backward looking leadership" offered by her conservative opponent Tony Abbott. The former industrial lawyer laid out her case for re-election on the issues of asylum seekers, economic management and climate change, painting herself as a progressive optimist who was "asking the Australian people for their trust." But -- after just three weeks in office in which she insisted she had made some "big strides forward" -- she warned it would be a "very close election" and that a "close, tough, hard-fought campaign" lay ahead. Once regular sparring partners on commercial breakfast television, Gillard said she expected Abbott to prove a "robust" opponent. The staunch Catholic attacked Gillard as "ruthless", asking how voters could trust her "when even Kevin Rudd couldn't" and when she couldn't herself be sure she would serve a full term before being knifed by the factions. "I'm going to end the waste, repay the debt, stop the new taxes and stop the boats. That's what you'll get from me," he said. Gillard promised to outline her climate policies during the campaign and said she was "a person who believes climate change is real, who believes it's caused by human activity and who has never equivocated in that belief." Abbott, who once dismissed climate change as "absolute crap" countered that a return to Labor would mean a carbon tax, saying: "It will be high and it will impact on everyone's standard of living." 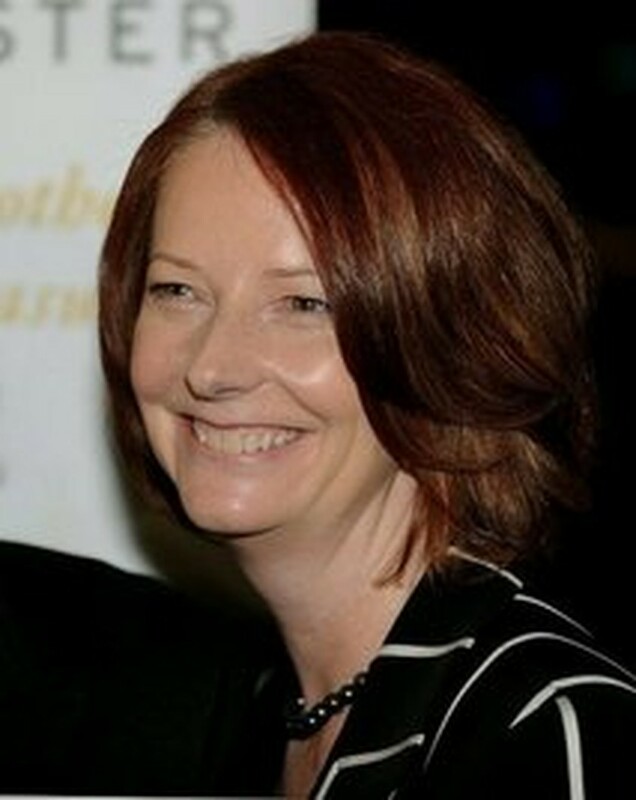 John Warhurst, a political analyst from the Australian National University said Labor was likely to win, with incumbency and the polls both weighing in their favour and Gillard seen "on balance" as a plus. Gillard could mount a very strong economic argument, but he said the inflammatory issue of boatpeople was "potentially a plus for the opposition." "That's an issue also where I think Julia Gillard has stumbled in the past couple of weeks and has not performed particularly well," he said.